Camping in Jerusalem: April 20, 1878. Pitcairn (left) and Benade (sitting, right) near the Jaffa Gate in Jerusalem. Photograph courtesy of the Academy of the New Church Archives, Swedenborg Library, Bryn Athyn. Figure 1: William Henry Benade (1816-1905). Photograph courtesy of the Glencairn Museum Archives. Figure 2: Travel diary of John Pitcairn, 1878. Photograph courtesy of the Glencairn Museum Archives. Benade’s observation that “one could collect a large cabinet of curious and beautiful things” is a clear reference to the 19th-century practice of assembling a “cabinet of curiosities,” a special room decorated with a wide range of artifacts, often the result of travels abroad. This forerunner to modern museums, prevalent in both Europe and America, originated in the Italian “cabinets” of the 16th and 17th centuries. Benade’s comment about old Italian families being “obliged to sell a collection of ages, in order to gain a livelihood” is especially interesting in light of what happened next: later that month Benade wrote to John Pitcairn to ask if he would be willing to purchase a collection of “about 1300” Egyptian antiquities from Rodolfo Vittorio Lanzone (1834-1907), an Italian from a stately family. Figure 3: Rodolfo Vittorio Lanzone (1834-1907). Photograph c Soprintendenza BAP e AE—used with permission. Figure 4: Egyptian amulets from the Lanzone collection, now in the collection of Glencairn Museum. 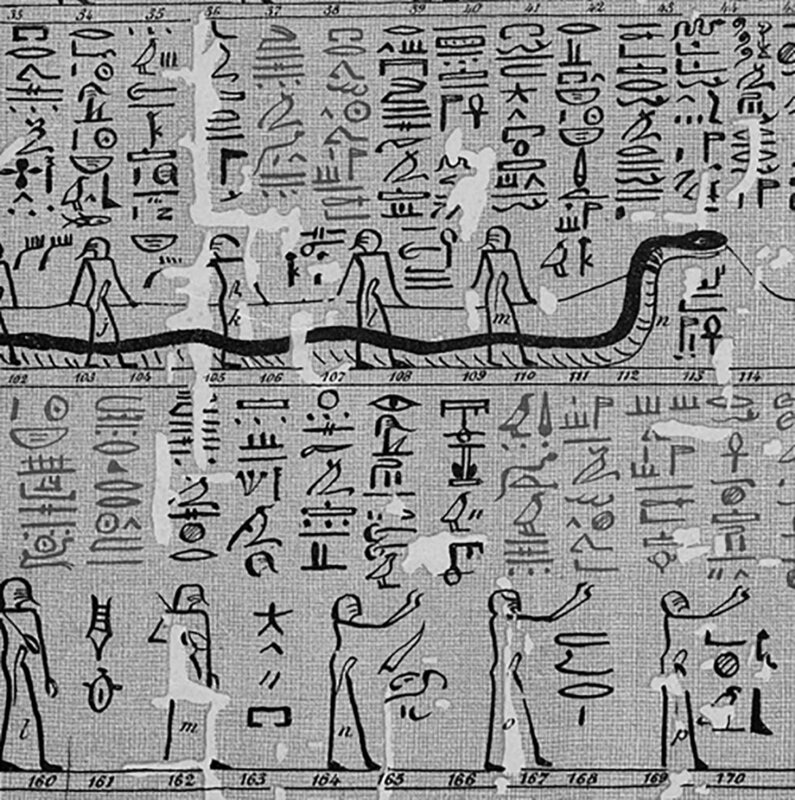 Figure 5: A portion of the twelfth hour of the Amduat, from a papyrus in the collection of the Egyptian Museum of Turin (accession no. 1776). Photograph © Fondazione Museo Antichità Egizie di Torino—used with permission. Figure 6: A portion of the twelfth hour of the Amduat in the collection of the Egyptian Museum of Turin as published by Rodolpho Vittorio Lanzone in his 1879 lithograph, Le Domicile des Esprits, Papyrus du Musée de Turin. Figure 7: The first home of the Academy’s Egyptian collection, on Friedlander Street in Philadelphia. Figure 8: Objects from the Lanzone collection, now in Egyptian Pantheon exhibit in the Egyptian Gallery at Glencairn Museum. In 1912, the collection was moved into a large building financed by John Pitcairn to house the Academy’s museum and library. Most of the larger Egyptian objects in Glencairn Museum’s collection were purchased in the 1920s by Raymond Pitcairn, John’s son, and kept in the Academy’s museum. (Several of these objects have received international attention, such as the 4,400-year-old Egyptian “spirit door,” from the 5th Dynasty tomb of Tep-em-ankh in the western cemetery of the Great Pyramid of King Khufu. In 2011 Tep-em-ankh’s door was sent on loan to the Roemer- und Pelizaeus- Museum in Hildesheim, Germany, where it was part of a major international exhibition, Giza: Gateway to the Pyramids.) In 1980 all of the collections in the Academy’s museum were moved from the library building to Glencairn, where they merged with the Pitcairn collections to create what we know today as Glencairn Museum. “From Parlor to Castle: The Egyptian Collection at Glencairn Museum” is available here. 1 For more information about these objects see D. Romano and I. Romano, Catalogue of the Classical Collections of the Glencairn Museum (Bryn Athyn, Pennsylvania, 1999). 2 Benade to Maria Hogan, Cairo, April 7, 1878. 3 After his death in 1863 the elder Robert Hay’s collection was sold to the British Museum and the Boston Museum of Fine Arts. 4 Benade to McCandless, Venice, October 10, 1878. 5 Benade to Pitcairn, Turin, October 26, 1878. 6 R. V. Lanzone’s Dizionario di Mitologia Egizia (1975: 7-12). Lanzone published his dictionary of Egyptian mythology in six parts (1312 pages, 408 plates) from 1881-1886. Dizionario di Mitologia Egizia was reprinted in three volumes in 1974, with corrections and updates by Mario Tosi. A fourth volume, consisting of material previously left unpublished by Lanzone, appeared in 1975 (M. Tosi (ed. ), Dizionario di Mitologia Egizia, 4 vols. (Amsterdam, 1974-1975); J. Johnson, “Dizionario di Mitologia Egizia,” JNES 38 (1979), 70). 7 Benade to Pitcairn, Turin, October 26, 1878. 8 R. V. Lanzone, Dizionario di Mitologia Egizia. Mario Tosi (ed.). 4 vols. (Amsterdam, 1974-1975), Foreword. 9 E. A. W. Budge, The Gods of the Egyptians; or, Studies in Egyptian Mythology. 2 vols. (London, 1904), xi. 10 H. Brugsch, My Life and My Travels. Ruth Magurn (trans. ), George Laughead Jr. and Sarah Panarity (eds.). http://www.vlib.us/brugsch/ (1992). 12 G. Gonino, Untitled. Proceedings of the Society of Biblical Archaeology 6 (1884), 205. 13 The Osorkon I statuette at the Brooklyn Museum (57.92) and the 1,115 objects (mostly amulets, bronzes, and shabtis) comprising the Lanzone collection at Glencairn Museum are the only objects extant from Lanzone’s personal collection. He also acquired two fragments of a text from the Ptolemaic Period—a version of the Papyrus of Lake Moeris (R. V. Lanzone, Le Papyrus du Lac Moeris (Turin, 1896))—but according to Silvio Curto the location of these is unknown (“Rodolfo Vittorio Lanzone,” in R.V. Lanzone, Mario Tosi (ed. ), Dizionario di Mitologia Egizia. 4 vols. (Amsterdam, 1975), viii). 14 Pitcairn to Benade, Paris, October 29, 1878. 15 Benade to Pitcairn, Rome, November 2, 1878. 16 Pitcairn to Benade, Paris, November 17, 1878. 17 Benade to Boericke, Rome, December 4, 1878. 18 Kate Benade, William Henry Benade’s widow, wrote in response to a request from the Academy’s librarian that no such list was found among his papers (Benade to Reginald Brown, London, February 14, 1924). According to one published source, in 1916 there were 1,125 objects in the Lanzone collection (C. Lj. Odhner, “The Lanzone Collection,” Journal of Education of the Academy of the New Church 15:2 (1916), 103). An inventory taken by the museum in 1974 listed 1,115 objects in the collection. 19 Benade to Boericke, Rome, December 4, 1878; see also Romano and Romano, Catalogue of the Classical Collections. 20 Benade to Pitcairn, Rome, November 12, 1878. 21 Benade to Pitcairn, Turin, October 26, 1878. 22 A copy of F. Vieweg, Le Domicile des Esprits, Papyrus du Musee de Turin (Paris, 1879) is in the Glencairn Museum Archives. (Benade had worked with Vieweg previously and recommended him to Lanzone.) This Amduat papyrus carries Turin Museum accession no. 1776 and is described in A. Fabretti, F. Rossi, and R. V. Lanzone, Catalogo Generale dei Musei di Antichita: Regio Museum di Torino (Turin, 1882). 23 Odhner, Journal of Education of the Academy of the New Church 15:2, 103. 24 Benade to Walter Childs, Philadelphia, November 10, 1879. 25 J. Whitehead, “From Philadelphia,” New Jerusalem Messenger 37:23 (1897), 316. 26 Shreck, Morning Light: A New-Church Weekly Journal 3, 98. 27 Benade to Childs, Philadelphia, April 17, 1882. 28 Benade to Childs, Philadelphia, April 18, 1884. 29 Kate Benade to H. P. Chandler, Bryn Athyn, December 1, 1913. 30 E. Sherman, “Report of the Girls’ Seminary,” Journal of Education of the Academy of the New Church 1906, 31.